A few weeks ago, we shared a big, fat bedroom progress post. It was actually sponsored by Loloi, who provided the rug for our room, and I felt like I needed to have something above our bed for those pictures. So I ran down to the guest room and grabbed my favorite cloud print that we have hanging in there as a place holder. Honestly, I loved it above our bed, I’m convinced it’s universally a great piece of art for any bedroom (It’s already back in the guest room–equally loved there), but if you follow me on Instagram (@chrislovesjulia) then you already knew that I had ordered something else for our room that just didn’t make it in time. But, eeeee (!!!) it got here last week and we hung it a couple days ago. It’s Black Circles II (part of a series of 4) by Korean artist, Guseul Park. 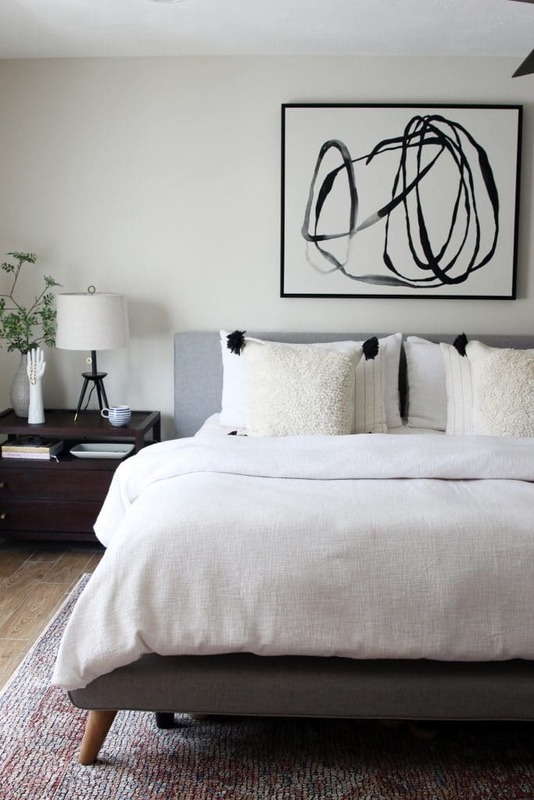 The mix of some traditional finishes, like the rug and nightstand (all the sources at the bottom of the post, ps! ), mixed with the modern abstract art feels so much more like us, which is how art should always feel. It’s so incredibly personal. When I shared on Instagram that I was considering the piece for our bedroom, there was a slew of mixed reviews. From, “you should have your kids paint that!” to lots of resounding yeses to “you could probably DIY it yourself.” And the truth is, I could probably paint something similar myself. But, with the platform we have, I feel it’s important to support the artist. And I’m so beyond happy with the quality and texture and, gosh, everything about it–something I couldn’t duplicate. There are two places online that I tracked down the piece. The first was Anthropologie (right here!). They offer the print in a 36×45 size (the size I was looking for) framed in a pretty brass frame for $598. The second option was Scout & Nimble (where we ended up buying from) They had 6 different sizes, all stretched canvas with a floater frame option, starting at $260. Because our room has a lot of natural light, I loved the idea of something with no glass in front of the print that would catch glare and distract from the art. We went with the 45×36 size with the Matte Black Floater Frame and the total was $491. The background is this warm, rich white (a little lighter than our walls). I love the breathing room around the circles and the lost and found lines. 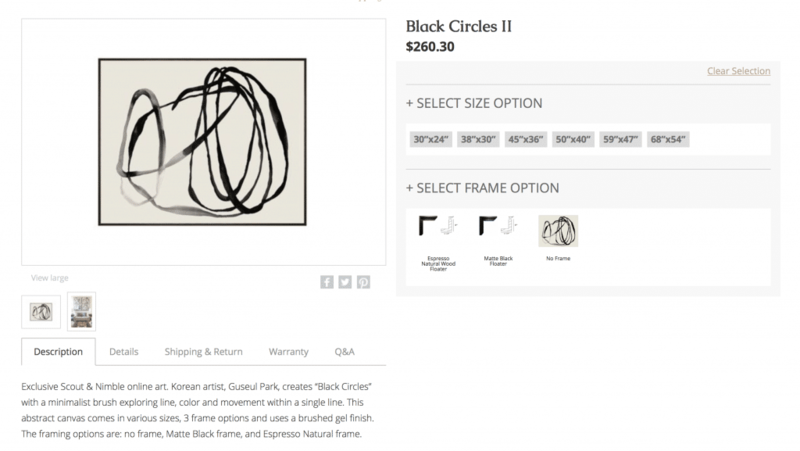 If you’re on a tighter budget, Jenny’s Print Shop has a similar piece called Knots. I’m still working on window treatments in here, taking my time picking something out that we’ll love for the long haul. 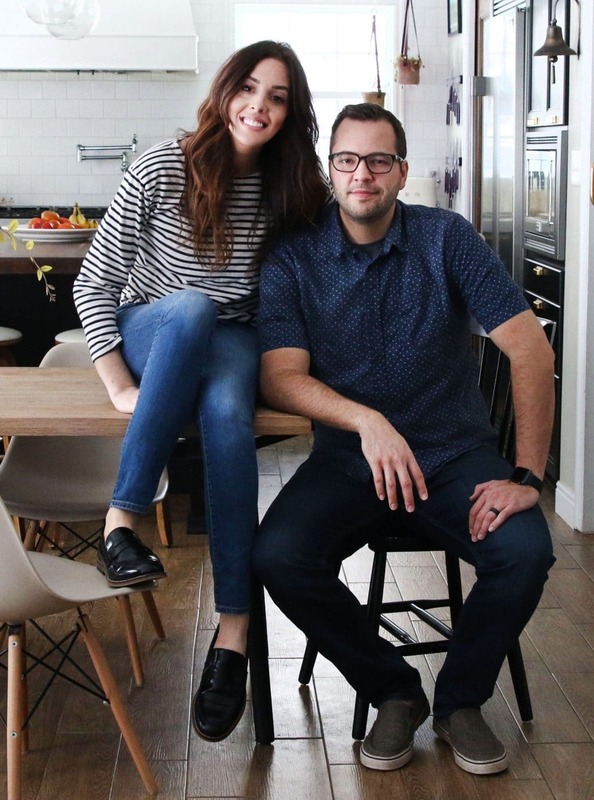 But with each small tweak, it feels more and more like “yeah, this is of course our bedroom.” Kind of like, I’m uncovering a room that’s been waiting to be found. And when the adjoining bathroom gets done, I’ll probably sleep for a week straight. Sources listed below! It’s funny how art is so subjective to the viewer. 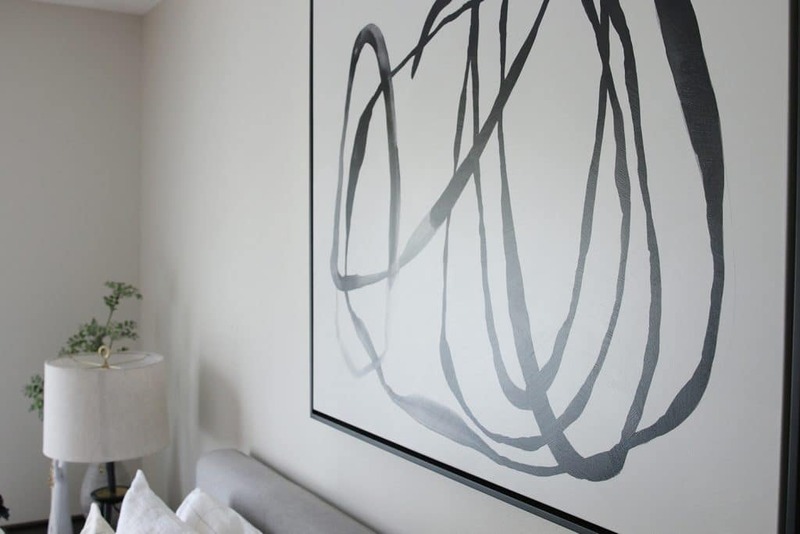 I’m not a fan of abstract art, so this would kind of stress me out to have in my home, especially in my bedroom. I’m glad you love it though, and it does fit your space so well! It’s really special, and inspiring me to invest in abstract art myself! It looks soooooooo good! 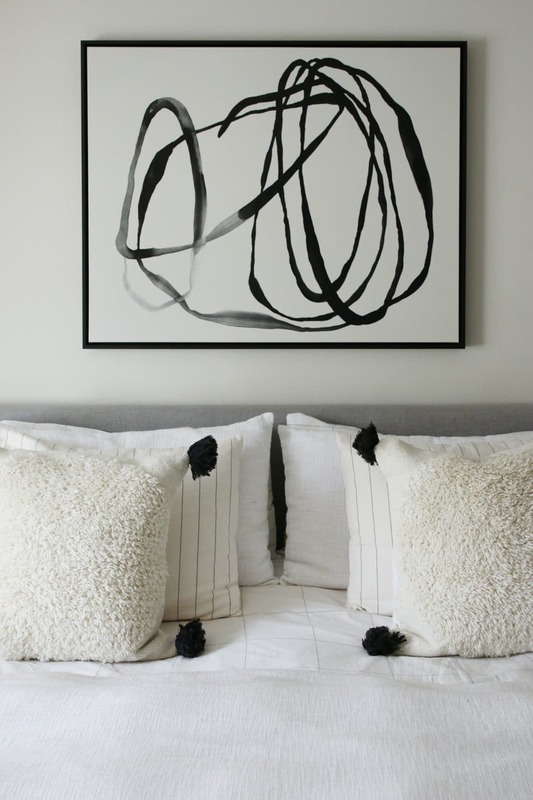 I like the cloud painting, but this is perfect in your room! 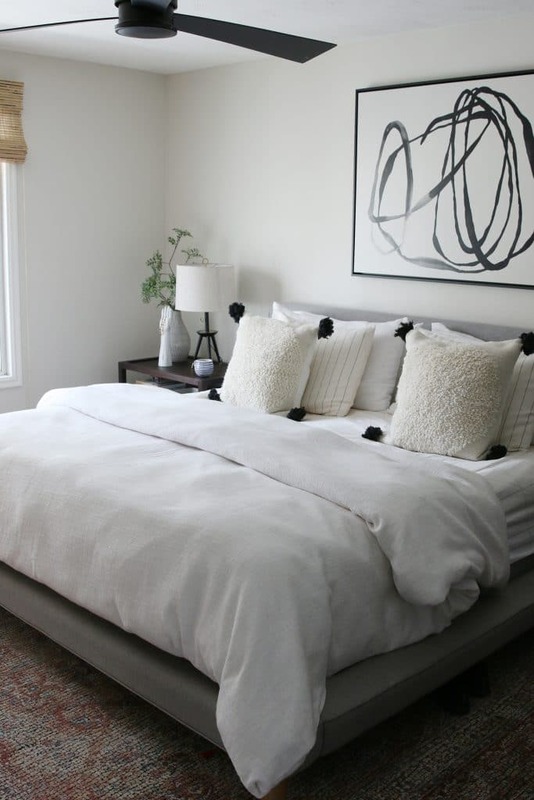 We love our duvet cover! It’s a great texture on the top and smooth underneath. I would say it’s white white. Woah! It’s crazy how one piece can make such a difference. And I LOVED how it looked before. But this just brings it to another level! I totally agree. So important to support artists! If everyone saw art that they loved and tried to recreate it on their own, the world would have many, many more artists, not less. I can’t help but think you’re looking at the situation from the wrong perspective. Being inspired by another person’s art and trying to create something similar of your own is how most people discover their passion and talent for art. curious …. do you sleep w/ a top sheet ? we are anti-top sheet @our house , so the softness/coolness factor of the duvet is important. 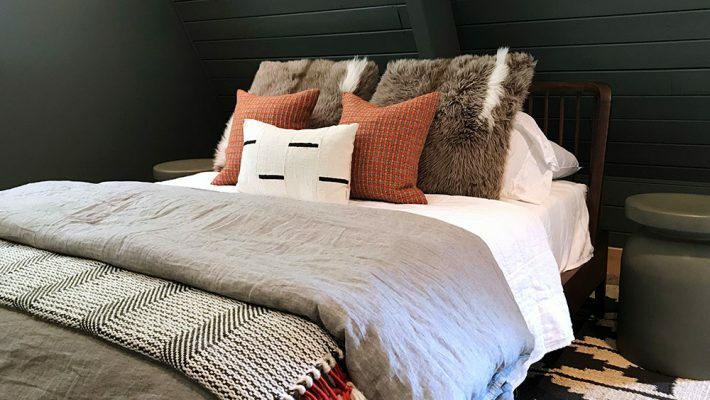 currently using a crane and company duvet , that feels fabulous , however i would love something with texture like yours . any opinion you can share would be appreciated !! your master has turned out SO cool !!! love it . We don’t have a top sheet, so I totally get what you’re asking about! The top of our duvet has a nice texture to it, but the underside is soft and smooth like a top sheet! A thicker top sheet, but a top sheet–so it’s kind of the best of both worlds. Do you think color consistency / a more monochromatic palette is more calming? Or is it the whites, blacks and earth tones, specifically? I know this sounds kind of abstract, but I’m wondering which part makes it feel calm. Would love concrete concepts on how to make a space calm and still and peaceful. Thanks for great content! I think everyone has a different idea of what feels calm and beautiful to them, but for me color consistency is definitely a big one. Whether that be painting the walls and trim all one deep color, or carrying one color throughout the main area of a space. I love tone-on-tone looks and I’ll always gravitate toward neutrals. And if I’m using a color, it’s always a more muted, neutral version of that color. In here, I think this art feels so much better because the glass isn’t reflecting, the colors are monochromatic and there’s n stark white (which can sometimes feel jarring in a bedroom.) 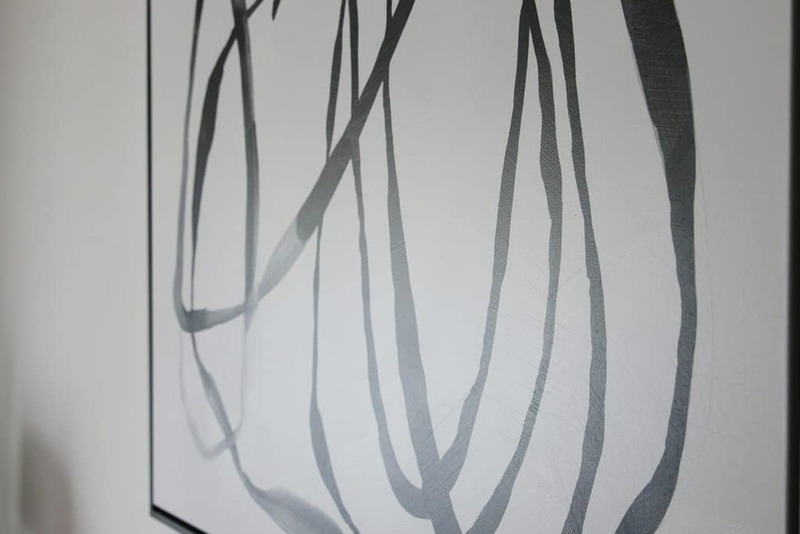 It’s thought-provoking and the brush strokes feel soft and fluid. Hope that helps a little! 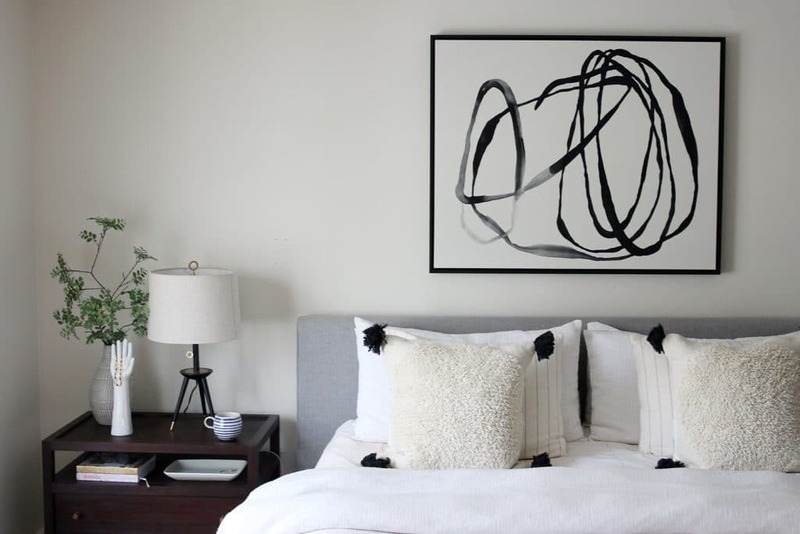 That print looks perfect above your bed. It’s very soothing. Also, love that your provided a more affordable option. I LOVE love love it your room (and I’m usually not crazy about abstract)! 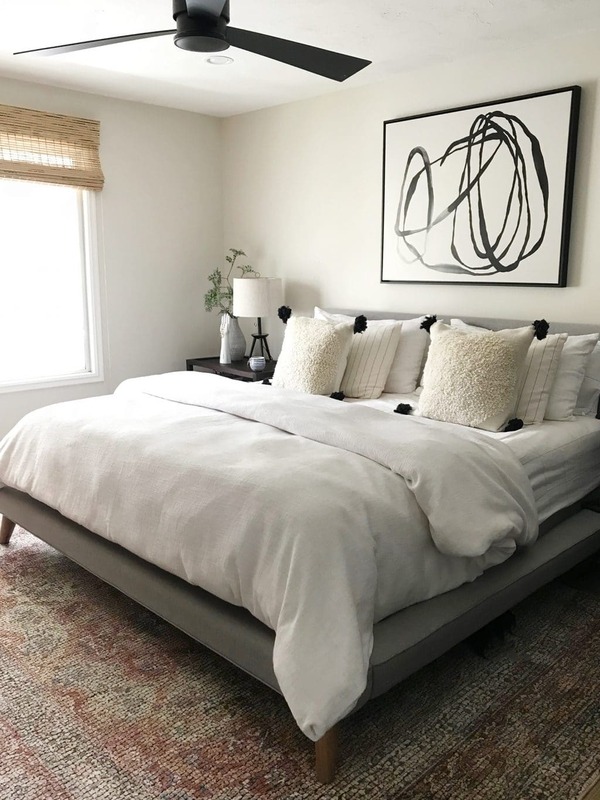 ….how it picks up on the black tassels in your pillows and adds a modern element….look forward to seeing how the rest of the room comes together…it’s already SOOOO good!! Wow, this is perfect here. Oh I have the anthro piece in my dining room and OMG, I adore it. It’s against rich evergreen walls so the brass is just lovely. The quality is AMAZING and I too have had people say “um, my 2 year old could paint that” but when they see it in person they get it. It just feels great. Love it in your room! It’s so good in person, huh! It’s sophisticated and calming and beautiful and I couldn’t love it more. The brass against the rich green sounds gorgeous. For many years I saw no real value in the abstract. I liked traditional and vintage art And especially bird or herb prints. But as our tastes develop we can see the calm or the excitement or maybe something else in abstract. So. I like it a lot. And I do get why people say You could do it yourself. Perhaps you could. Perhaps you might even do something more interesting. But I think if you see it and you are drawn to it then buy that. Usually it will give you more pleasure. Plus, who wants to just be a copier? This is well said. I get impatient with DIY-ers who copy abstract art. On the one hand, I get it. Art is expensive, and making something yourself is immensely satisfying. But on the other hand, merely copying an abstract piece fails to honor the conceptualizing that went behind the original piece. Julia, I would love to hear an artist’s thoughts on this sometime, especially an artist who specializes and/or has studied abstract art. Perhaps you could use your platform to interview an artist (you’re qualified: you’re an artist yourself!). Like, maybe she could walk us through the conception behind one of her pieces. And maybe she could even speak to this trend of copying abstract art. I LOVE the new art. It’s perfect! Well that looks stunning! It fits the vibe of the room perfectly. I am glad you didn’t DIY and supported the artist. THANK YOU for supporting the artist who made this rather than attempting to DIY it! 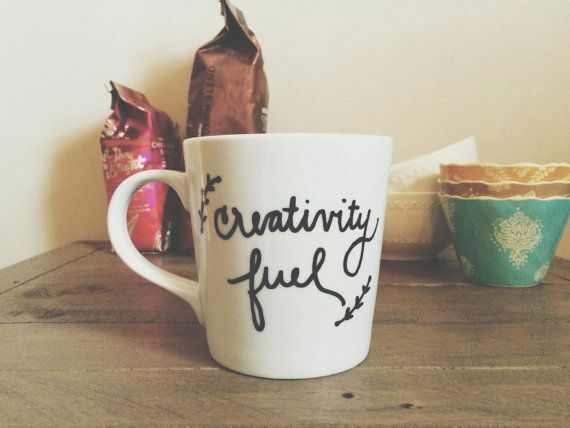 I feel like this is so rare in a lot of home decor blogs I frequent. I am an artist myself, and I always cringe a little when I see a post about creating a “DIY version” of art on a blog – it devalues the work of artists and trains people to view art as a “cheap” accessory rather than something worth investing in. Granted, art can be pricey, and I’m not against thrifting a picture here and there, but there are so many artists out there who hustle to make good work – they deserve some recognition! Kudos for doing so here. Well, to be fair, this is also probably partly a business decision. Blogs make money off of affiliate clicks, so if you’re a blogger, buying and posting about a piece of art that your followers then buy is likely a better decision in terms of profit for you than DIYing it. I don’t think you need to have such a cynical view of affiliate links, Vid. They’re a great way for artists and content creators to have a positive, mutually beneficial relationship. Someone making money from an affiliate link isn’t the same as someone making their decisions based on making money from an affiliate link. Pure motives can still exist when people make money from something, and copying someone’s artwork when we have the means to support them instead, felt like the wrong thing to do. I’ll also add, the Scout & Nimble link above, to the product we purchased, isn’t an affiliate link. We share products we love – if they’re affiliated, great, if not, that’s also fine. We also do a lot of DIY art projects, like our engineer prints, that provide us little to no affiliate revenue. I think we’ve found a good balance with affiliate link use, and we hope people understand the benefit they are to everyone, including those who end up purchasing the art on our recommendation. We also wrote a bit about this topic, and you can see that here. To Vid – I think Chris said it all quite well in his straightforward reply. I’m curious why it seems such a negative idea to you that bloggers make money? If they didn’t make money, we wouldn’t get to read great content like this. I respect those who have found a way to fuse passion and business. We, as readers, should respect the way that bloggers make money, or we shouldn’t be consumers of what they’re offering. I don’t have a blog, there is no ulterior motive. I’m just an avid reader who respects the craft of well-done blogging. Well said! Blogs have value, so when I as a reader gain inspiration or a great idea, it’s a win-win-win for me to use those affiliate links to reflect and respect that value. 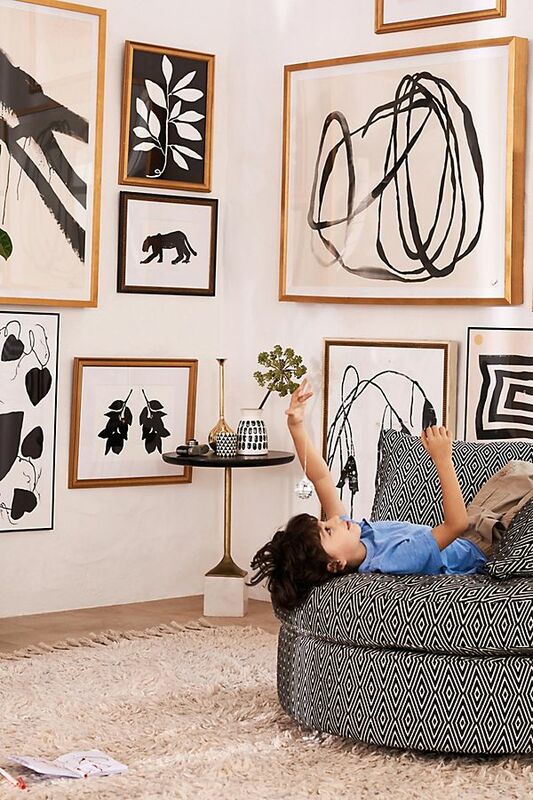 This room(& art work!) is perfection! Love this print! I’ll admit, I absolutely love the guest room art. 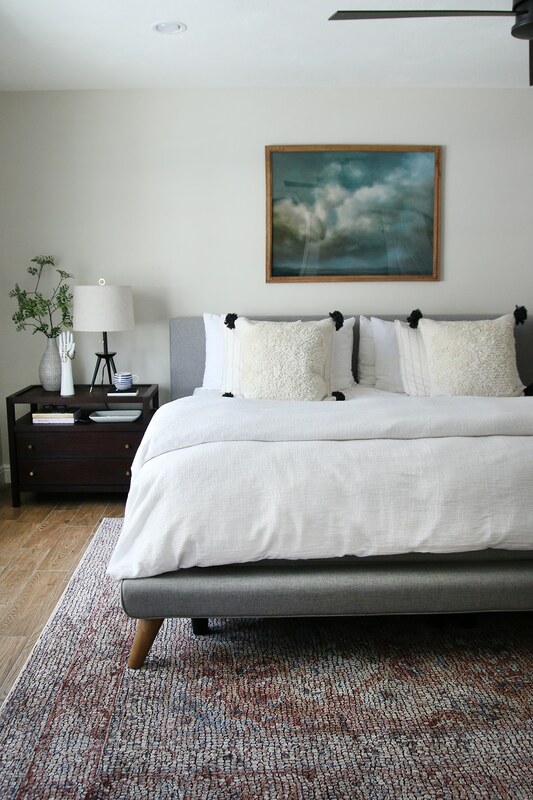 The frame went well with your beds legs and just brought some nice movement and warmth to the room. But, it did feel off and this beautiful art piece definitely does not. It feels perfect in here along with everything else. Great job on picking this piece out! I always love a light and airy bedroom so I’m digging your new bedroom.